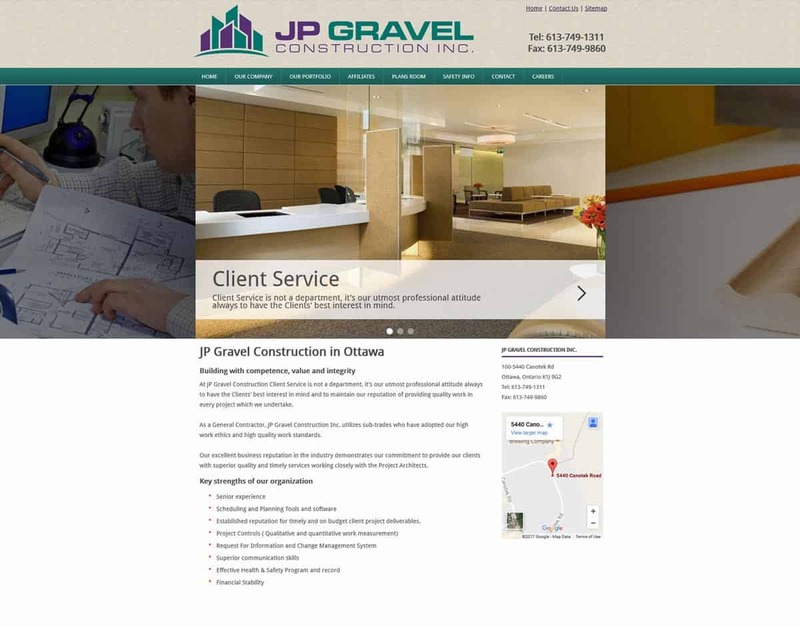 JP Gravel Construction wanted more than just a website to promote their business. Along with a custom Content Management System, they wanted a tool that allowed them to post draft plans (including auto cad drawings) on tendering projects so that their clients can login and review as the project unfolds. This saved them a significant amount of time because they no longer had to find ways to send these large files to their clients. The website includes single level navigation with the ability to create unlimited levels based on amount of content, a jQuery slide show for the home page, portfolio with auto thumbnail generator, and secure client access.